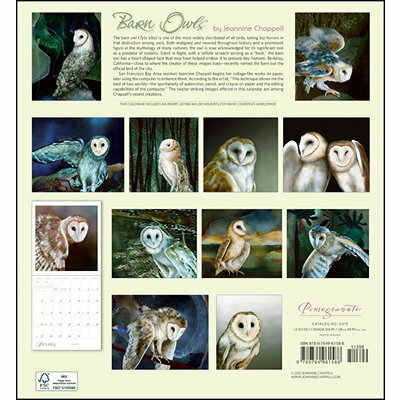 More information about the Barn Owls 2013 Wall Calendar. Silent in flight, with a telltale screech serving as a hoot," the barn owl has a heart-shaped face that may have helped endear it to present-day humans. Artist Jeannine Chappell creates her ethereal owl portraits on paper, later using the computer to enhance them. EAN: 9780764961588"